(CBS) - Have you ever been kayaking around Redondo Beach with your camera when you suddenly come across some majestic and beautiful blue whales? Yeah, me, neither. But the guy who posted the above video had that exact thing happen and it's truly amazing to behold. Take a look. From 10/8/2011. 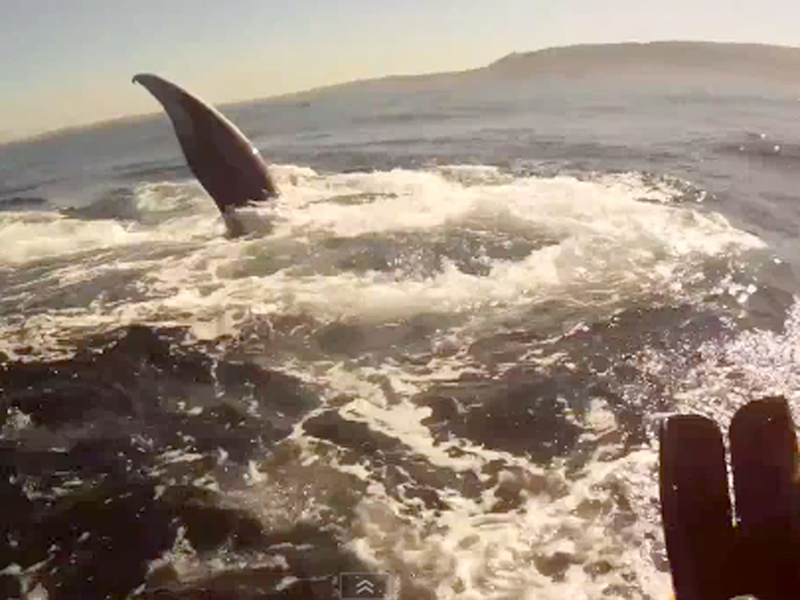 A whale lunge feeding right next to the Kayak, plus some underwater footage. While the lunge feed was heart pounding excitement, I found that seeing one undewater was relaxing and peaceful. Was an awesome day!!! If you'd like to check out more from the poster, you can go to his YouTube page by clicking here or his website with some underwater photography from the encounter by clicking here.